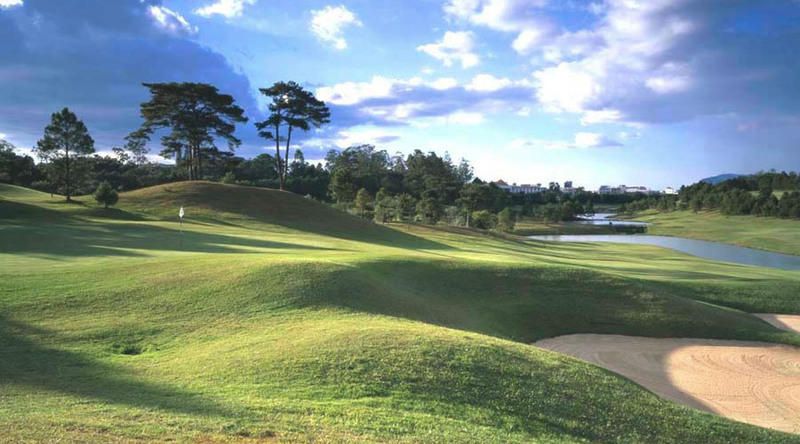 A 12 day golf tour exploring some of Vietnam’s finest golf courses in Saigon, PhanThiet, Dalat, Hanoi. This golf tour allows you the opportunity to play on Vietnam’s scenic golf resorts. Sightseeing tours to visit the mystical Halong Bay or the ancient charming Hanoi City will be a highlights of the tours. Morning free at leisure and then we transfer you to the airport to take short flight to Dalat – Located about five thousand feet above sea level, Dalat enjoys a cool climate that doesn’t burn the sensitive bent–or wear out golfers. Dependant on arrival time and day light hours, a few holes of twilight golf should be possible before dinner. Overnight at the Sofitel Dalat. After breakfast we drive down from Dalat to the Beach Resort at PhanThiet, stopping half way for lunch. Afternoon Check in at the Novotel Hotel situated on the Beach adjacent to the South China Sea, and overlooking the Ocean Dunes Golf Club.